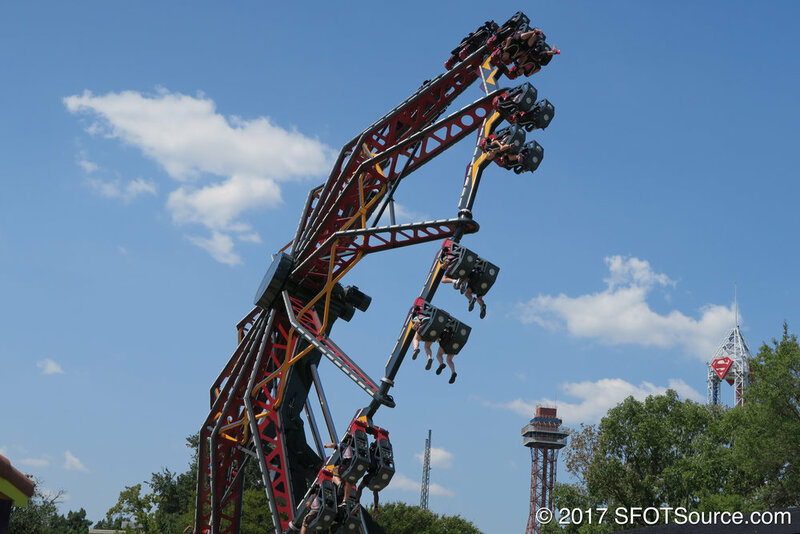 In 2016, Catwoman Whip took over the spot of an old Six Flags Over Texas classic. From 1973 through 2007, Bumper Cars resided in this location and were added with the then-new Goodtimes Square section of the park. 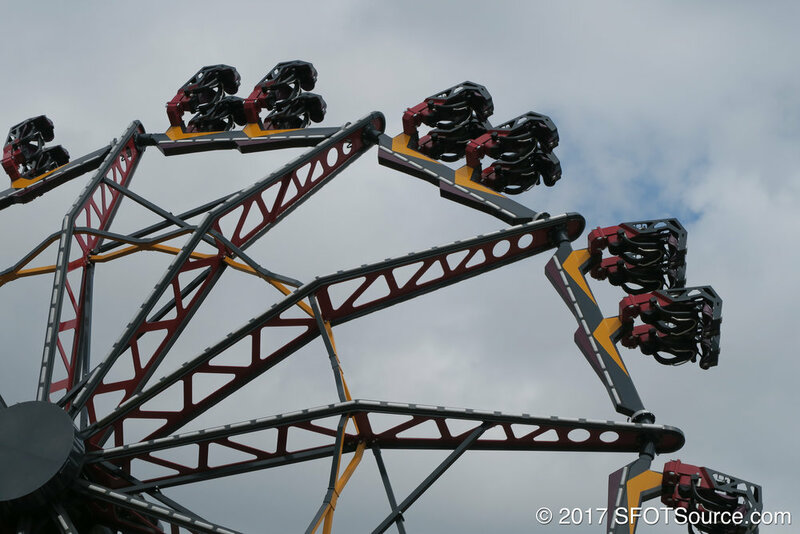 Unfortunately in 2007 the Bumper Cars attraction no longer operated at the park though its building structure stood until 2015. 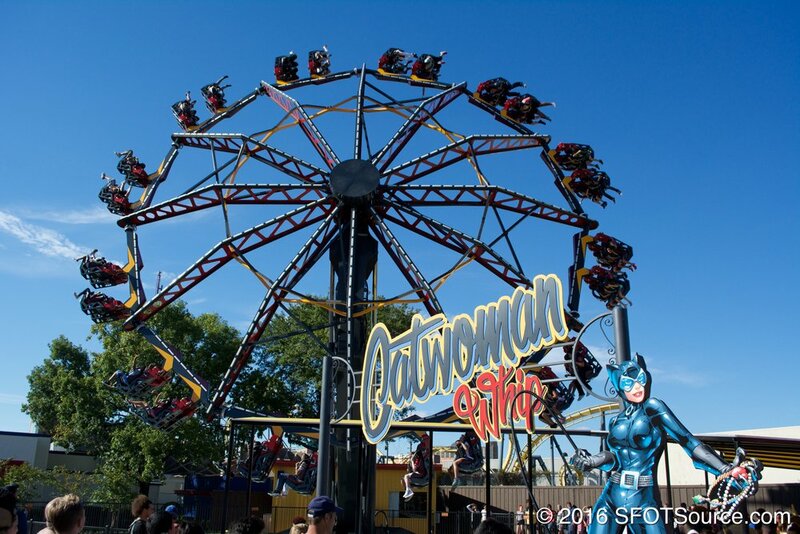 In 2016, the old Bumper Cars building was demolished and Catwoman Whip was added in its place as part of the new Gotham City expansion. Bumper Cars were located in the green building pictured above.